Home>Articles>Connection to the main gas pipeline: problems according to the list. 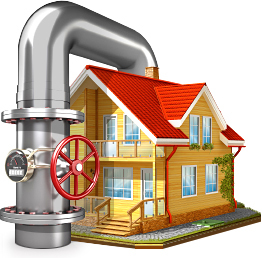 To provide your own private house, summer house or cottage with the main pipeline gas it is reasonable to be patient. Connection to the main pipeline with «blue-sky fuel» is very long and nervous asking process. It is necessary to collect all required documents (connection authorization, a copy of technical passport for the house, topography of the land property with indication of the gas pipeline and all communications). Preparation of the documents for installed gas equipment (certificate of conformity, permit to use, future maintenance service contract). Drawing up of chimney inspection report, obtaining of technical specification for the residential house gas supply. Going to a licensed design organization, accordance of the gas equipment position. Fixing of working budget, making a contract for engineering supervision. Agreement execution with licensed mounting company. 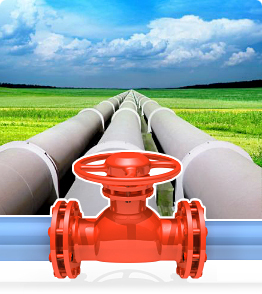 After the mounting of the equipment and gas pipeline it is required as-built technical documentation implement. Acceptance of the performed work by a commission. Utility meter sealing and contract conclusion for gas equipment maintaining and for gas supply. The cost of gasification for country house, summer house and cottage on base of independent gas tanks is twice cheaper than the connection to the main gas pipeline. Independent gas supply system for your place is mounted only during one day without an avalanche of authorization documents and importuning the authorities. The way of the independent gasification. The main gas pipeline to a private house: the connection cost. Awaiting for the main gas supply. Independent heating – solution for the problem of the main gas supply absence. Opinions about Antonio Merloni independent gasification.